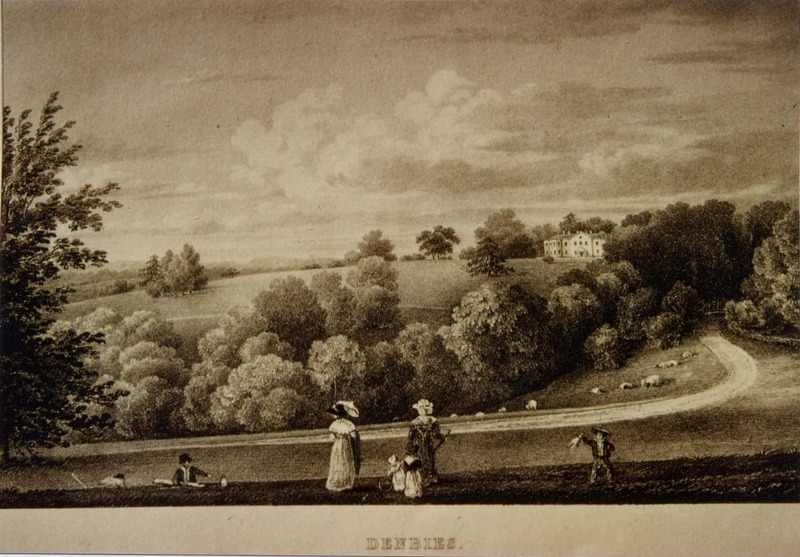 To the north-east of Dorking overlooking the slopes of Box Hill, Denbies estate was created by Jonathan Tyers, the wealthy proprietor of Vauxhall Pleasure Gardens. He bought Denbies farm in 1734 and created a country seat for himself there. In 1850 Thomas Cubitt, the builder of much of London and the east wing of Queen Victoria’s Osborne House, purchased 3,900 acres from Lord Londesborough. Seeking to rival the Deepdene, Cubitt constructed a grand mansion with almost 100 rooms to replace the original house. It was a huge brick and stucco structure with Italianate detail. 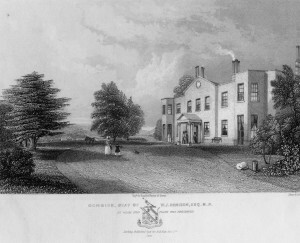 Prince Albert came to visit in 1851. Cubitt’s son, George, developed the estate, which employed some 400 people. He became the first Baron Ashcombe of Dorking. Thomas Cubitt’s statue stands outside the Dorking Halls. Land which was close to the railway station began to be sold for housing in the 1920s. More land near the town centre was developed in the 1930s. Used as the Home Guard headquarters during the Second World War, the mansion was demolished in 1953. 800 acres were then passed to the National Trust. In the 1980s the remainder was sold to the water-treatment firm, Biwater. The company’s chairman, Adrian White, has since developed the Estate’s south facing slopes into a vineyard with 268 acres having been planted. The vineyard is open for tastings and guided tours. For more details visit the Denbies website.